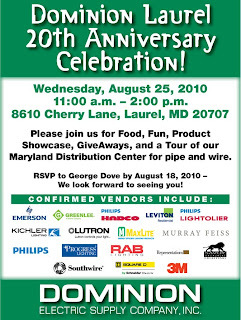 Laurel customers, celebrate with us! 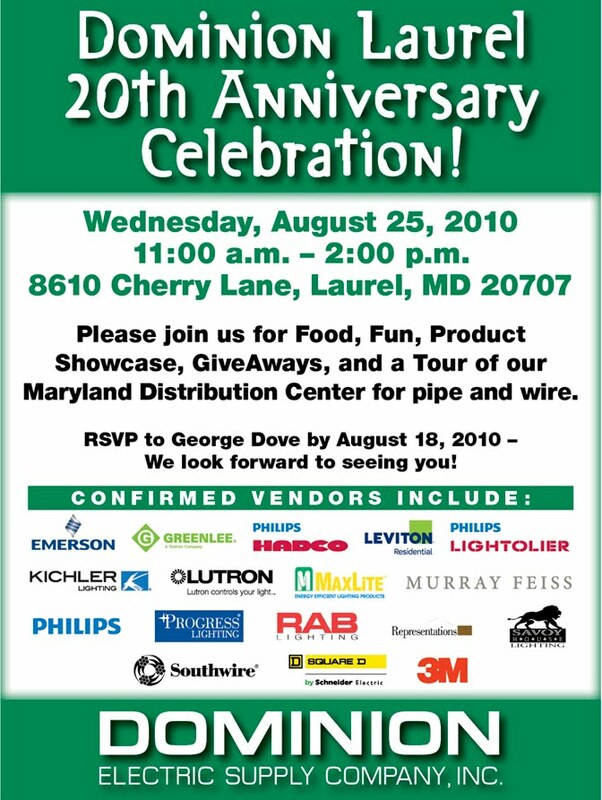 Dominion Electric Supply Laurel turns 20! Please join us for Food, Fun, a vendor Product Showcase, Give Aways, and a Tour of our Maryland Distribution Center for pipe and wire if you are interested.